Updating your rental property in Tucson comes with a whole host of benefits. You may be able to request more for the property if you’ve made major improvements. If you’re looking for renters in a competitive market, some small changes can give you the edge you need to win over potential tenants. Charm the socks off of the people touring your rental with some meaningful upgrades. Homes aren’t something that most people rent as brand new. They already know that someone else lived in that rental. The appeal of a rental that looks brand new from top to bottom may be too difficult for potential tenants to pass up. The best way to do that is by thoroughly cleaning everything. Make the countertops shine. Polish the faucets. Scrub the grout until it looks new again. As a part of your cleaning spree, wash the baseboards, crown molding, and door frames. This is important to do, especially if they’re white. They might need a new coat of satin white paint. These areas have a tendency to get dingy with time, and since it’s a gradual process, it’s easy to look right past it. There’s a reason why homes in Tucson sell at a higher volume during the sunnier months – it’s because of the touch that natural light provides. Make the windows sparkle, and keep them open. Try to show the rental in the morning or the early afternoon, when the sun is at its brightest. The natural light reflecting off of the clean surfaces will make the rental appear to be more spacious. In areas that don’t get a wealth of natural sunlight, make sure the rooms are well lit. Install proper fixtures, and when possible, use daylight replicating bulbs. Dark spaces feel cold, and you want renters to be able to feel the warmth of the space you’d like for them to call home. Curtains, blinds, and shutters have a seemingly unlimited duration. They’re not necessarily decorative – they’re typically utilitarian objects that exist to serve a specific purpose. These things don’t age well, and it’s important to regularly replace them. Horizontal blinds often get dusty, yellow, and worn out with time. Old blinds can age a perfectly fine window, leading people to believe that the window itself needs replacement. Replacing solid color curtains with decorative curtains adds an alluring accent. Good and sturdy shutters will make renters feel safe and secure. You can even paint them to match the décor. The curb appeal of a property is ultimately what draws people in. Even though we’re not supposed to, we all judge books by their covers. People may not be willing to give your rental a chance if they’re not enthusiastic about the exterior. Lay out a welcome mat, and do some landscaping in the flower beds out front. If you don’t have any, opt for potted plants or hanging plants you can easily affix to the ceiling of the front porch. If the porch is large enough, place a bench or a swing on it. The rental will feel cozy to potential tenants before they’ve even set foot inside. You’re making a strong first impression that they’ll carry with them to every corner of the home. If the door sticks, is hard to close, or is scuffed on the face or the frame, this isn’t a good sign. A front door is supposed to signify safety. A tenant wouldn’t put their valuables in a broken safe, and they won’t want to move everything they own into a home with a damaged door. If the door is in great conditions and the locks are new, consider painting it. Add a decorative latch to the inside as an additional layer of security. Installing ornate handles is a plus, but it’s not necessary if the handle that’s currently on the door is newer and in great condition. Your tenants will see the door and immediately realize that the property has been immaculately maintained and updated. Flat white, especially if your tenants are discouraged from painting the walls, can make a home feel more like the waiting room at a doctor’s office. It isn’t particularly inviting – it gives the appearance of a blank canvas where something beautiful can’t be created. Paint is very inexpensive for the impact that it has. Warmer neutral tones make a space feel more inviting. Tans, creams, beiges, and even trendy taupe shades will match with almost anything. Carpet is very hard to maintain. It retains smells, it stains easily, and it grabs a hold of allergens. Replacing your carpet with hardwood or tile is a better idea. It’s expensive, but it’s easier to keep clean. It will also last much longer than carpet. If you already have tile or hardwood, properly maintain it. Cracked tiles need to be replaced, and hardwood needs to be refinished and oiled occasionally. Since these kinds of floors can be thoroughly cleaned, they’ll look new for years to come. Maintenance is easy as long as you regularly attend to it. Replacing the appliances will be costly, but it might also be necessary. Over time, appliances start to develop unique personalities. One stove burner will begin to act in a temperamental manner. The ice maker in the freezer will frequently jam up. The turntable in the microwave constantly comes off the tracks. Your previous tenants probably got used to it, but new tenants shouldn’t need to. Replacing appliances with energy efficient (or water efficient) counterparts can be a huge draw for eco friendly renters. They’re better for the environment, and they keep utility costs down. If you can’t spring for something top of the line, choose a refurbished secondhand appliance that you’re sure will be in proper working order. A few investments in your Tucson rental property now, can lead to a happy long-term tenant. 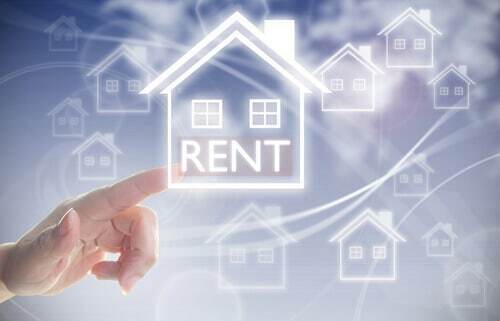 If you’re looking to secure a quality tenant, provide a quality rental. Everyone will be happy and you won’t need to worry about finding a new person to rent your property any time soon.